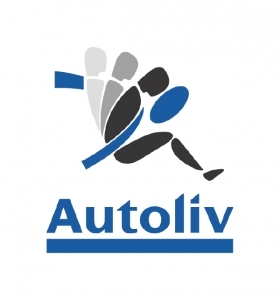 STOCKHOLM (Reuters) -- Auto safety products supplier Autoliv expects slightly higher margins in 2015 after posting fourth quarter earnings above market expectations, helped by strong sales in Europe and lower costs for raw materials. The company said it expected an adjusted operating margin of about 9.5 percent this year against the 9.1 percent reported in 2014 while growing sales by more than 6 percent on a like-for-like basis. Growth in 2014 was 6.2 percent. "We ended 2014 with a quarter in which sales growth as well as operating margin exceeded our expectations," CEO Jan Carlson said in a statement on Thursday. "In 2015 we anticipate an expansion in overall operating margin despite record investments in both capital and R&D," the statement said. Autoliv is widely expected to gain market share due to rival Takata's airbags issues that have led to recalls of more than 21 million vehicles globally. But boosting capacity also comes with higher investments for the Swedish company. Autoliv said earlier this month it had agreements to raise capacity to up to 25 million airbag inflators for delivery during this year and 2016, due to "airbag quality issues with another supplier." Operating profit at Autoliv, the world's biggest maker of safety gear such as seat belts and airbags, rose to $217 million from a year-ago $203 million to beat a mean forecast for $208 million in a Reuters poll.